Join me in a mission to see just how we can do by emailing companies. Here are the first 5 links. You can find the full list of company contacts here and I will add more as I find them. I will highlight them as they are posted to email in the Coupon Project. If there is a company here that you are not interested in you can go the the contact list and find another one to email. (It may be better to go further down in the alphabet and email from one there, so that it will be a while before you email them again). **Please remember that the downturn in the economy has also effected big and small companies as well may not have extra money in the budget for coupons. Receiving coupons for these emails are not to be expected but a little surprise is possible in your mailbox for your kind words. First of all be honest. If it is a product you would like to try ask if they have any samples or coupons. If it is product you love let them know how you love it and if it is a product you have a problem with be sure and inform them in detail what the issue was so that they can take steps to improve their product and also be aware if there is an issue they way want some information from the product package such as Expiration date, UPC etc. I just wanted to write and let you know that your popcorn is the best. The flavor is just right, we love the Butter Craver’s variety and prefer your label over any other brand. I would love to try your brand of popcorn. 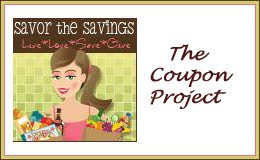 due to the economy I have became an avid coupon shopper and was wondering if you have any coupons or samples available? I bought your popcorn and am very unhappy with the product. I popped it in the microwave at the same setting I use for other brands and what as the instructions on the box. I estimate that 50% was all that popped and the taste was not appealing. The UPC code is ***** and the best used by date is ****. So here we go…..Let’s get started!